Lydia A. Izaguirre, 93, of Boise passed away on February 21, 2018 of natural causes. Lydia was born on July 7, 1924, in Ogden, Utah to Thomas Abadia and Eulalia Meabe. Her mother died during Lydia's birth. Lydia's aunt, Matea Trevino, cared for her during the first 15 months of her life in Rupert, Idaho. In 1926 Lydia moved to El Cortjo, Spain with her paternal grandmother, Juana and Atanacio Abadia. In 1931 her father returned to Spain and married Salome Abadia. Lydia lived with them until age 25. While there she lived for two years with the sisters of the Carmelite convent in Guernica. In 1949 Lydia returned to the United States and lived with the Matea and Manuel Trevino family in Rupert, Idaho. In 1953, she moved to Boise and began working at the Owyhee Hotel. On May 21, 1955, Lydia married Luis Marie Izaguirre. They moved to Grandview, Idaho, where Luis was employed by the Walter Bennett Sheep Ranch. During the summer months Lydia cooked for the workers on the ranch. In 1960, they purchased a family farm in Grandview. Lydia went to work as a janitor for Rimrock High School in 1974. Following her husband's death on April 12, 1974, Lydia remained employed by the school district until her retirement in 1989. In 1991, she moved to Boise in order to be closer to her children and grandchildren. Lydia was a devoted, loving and proud mother and grandmother. 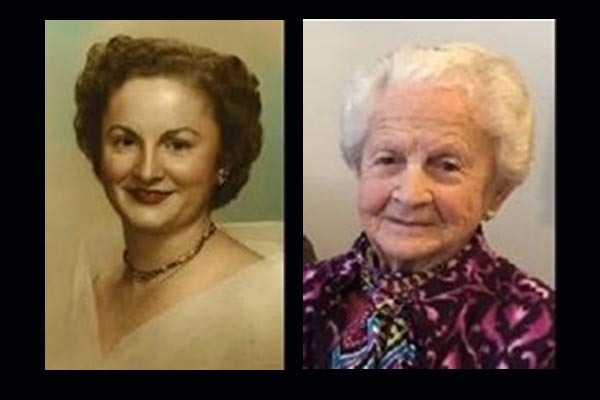 She enjoyed being with family members, cooking delicious dinners for family and friends, spending time in her vegetable garden and taking care of her beloved dogs. Lydia was a member of St. Marks Catholic Church, the Basque Center and the Basque Women's Association. She enjoyed playing Briska and visiting with other friends and members of the Basque community. Lydia recited the rosary daily for her family and friends, as well as offered many prayers. Lydia is survived by her son, Albert and his wife Milagros, of Boise; a daughter, RosaMary of Meridian; and a son, Robert and his wife Sharon, of Middleton; two granddaughters, Melissa Runyan and her husband Douglas, of Boise, and Kayla Izaguirre and her fiancé Austin Knight, of Boise. A Rosary Vigil Service will take place on Friday, March 2, at Summers Funeral Home, Ustick Chapel, 3629 E Ustick Rd, Meridian, ID at 7 pm. A mass of Christian Burial will be celebrated at 10:00 am on Saturday, March 3, at Our Lady of Good Counsel Parish, 342 E. Jackson St. in Mt. Home, ID. Burial will take place at the Mountain View Cemetery in Mt. Home, followed by a dinner for family and friends. The family requests, in lieu of flowers, memorial contributions in Lydia's name be made to the Basque Foundation, Inc. Memorials, 601 Grove St. Boise, ID 83702. The family would also like to express their sincere appreciation and thanks to the staff of Keystone Hospice for their loving and compassionate care during Lydia's brief illness. Services are under the direction and care of Summers Funeral Home, Ustick Chapel. 208-898-0642. Please visit www.summersfuneral.com to leave memories and condolences for the family.